Volvo Trucks now introduces its first all-electric truck for commercial use - the Volvo FL Electric for urban distribution and refuse operations, among other applications. Sales and series production of the new model will start in Europe next year. 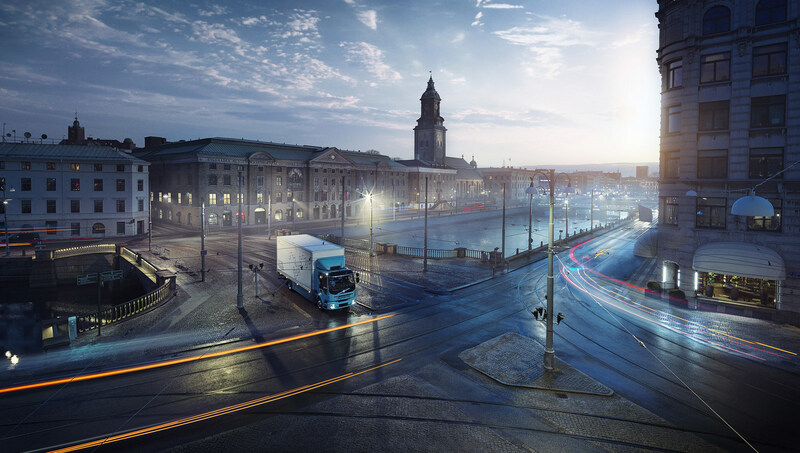 With this introduction Volvo Trucks takes the lead in solutions for electrified goods transport in cities. Fully electrically-powered truck for distribution, refuse collection and other applications in urban conditions, GVW 16 tonnes. Volvo Trucks provides complete transport solutions for professional and demanding customers, offering a full range of medium to heavy duty trucks. Customer support is secured via a global network of 2,100 dealers and workshops in more than 130 countries. Volvo trucks are assembled in 16 countries across the globe. In 2017, more than 112,000 Volvo trucks were delivered worldwide. Volvo Trucks is part of Volvo Group, one of the world's leading manufacturers of trucks, buses and construction equipment and marine and industrial engines. The Group also provides solutions for financing and service. Volvo Trucks´ work is based on the core values of quality, safety and environmental care.